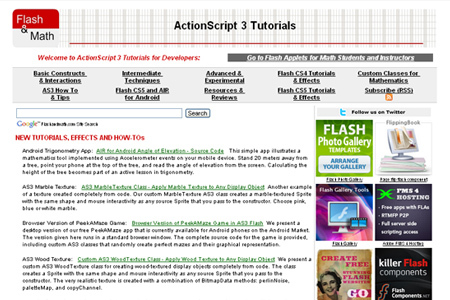 Adobe ActionScript is the programming language of the popular authoring software, Adobe Flash. Over the years, Adobe Flash has brought a lot of advantages to web developers particularly in designing interactive demos, standalone movies and in adding interactivity and smooth animations to web pages. 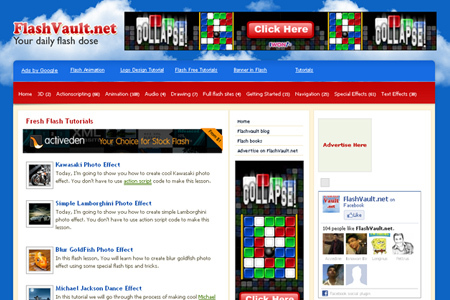 Because of these benefits, it became popular in the world of multimedia. If you are interested in learning flash, the need to learn certain basic scripts is important. 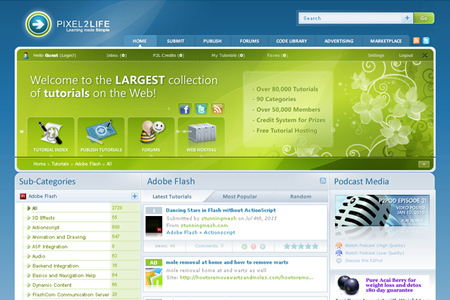 To sharpen your flash development skills, we compiled great websites which will teach you how to master the program. 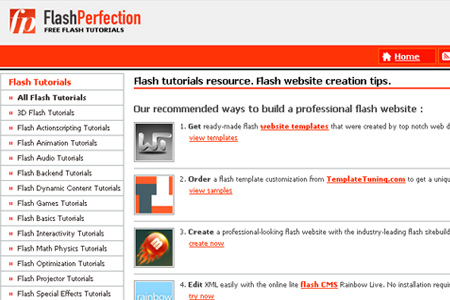 Here are the 21 Websites Helpful for Learning Flash and ActionScript. 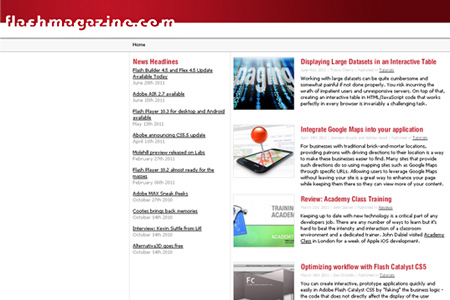 Bookmark these sites right away to find free tutorials. Enjoy! 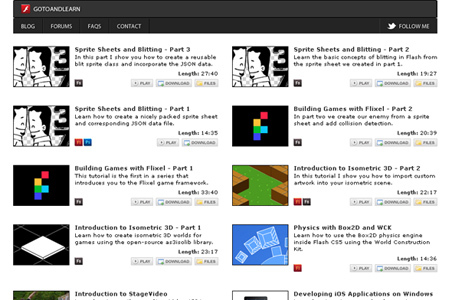 gotoAndPlay() is a free web resource for web gamers and web game developers as well to learn actionscript code from tutorial and examples they provide. 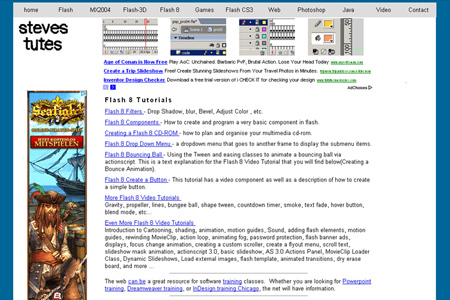 Flash Magazine is an independent resource for everything about Macromedia’s Flash, Adobe LiveMotion, Swift3D, Swish and other Vector based products for the web. 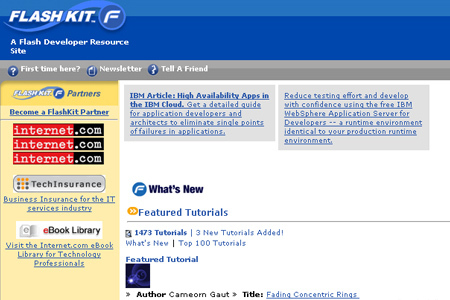 Flash Kit is an online resource for Adobe Flash development. 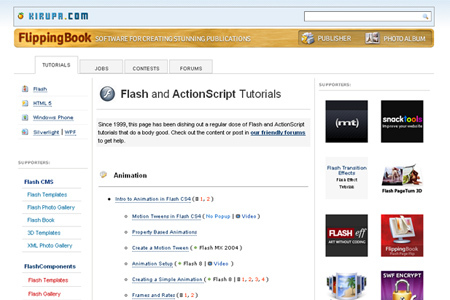 ActionScript.org is the premier ActionScript developer community online for Flash and Flex users. FlashPerfection.com is a great flash resource with a lot of useful articles, flash tutorials, flash actionscripting, special effects, tips and techniques about flash, and links to related sources. 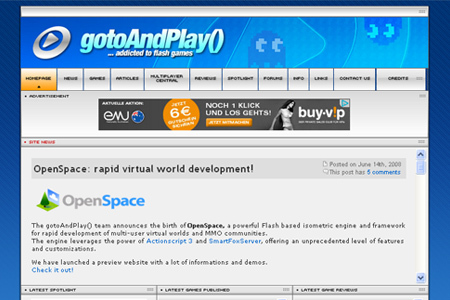 gotoAndLearn() is a free video tutorial resource for the Flash Platform. Lukamaras.com is a good source of Flash tutorials helpful for you to make hi-tech, sleek Flash sites. 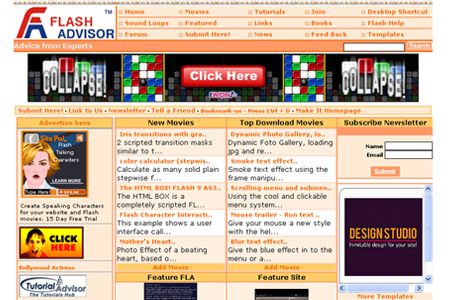 Flash Advisor offers flash tutorials, flash games, flash player, animation, and adobe flash. 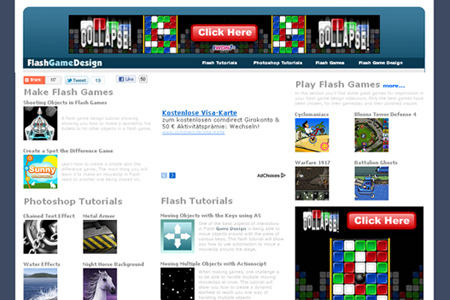 Flash Game Design provides a lot of resources for making flash games. 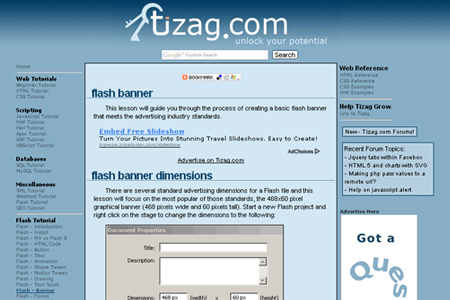 Flashvault.net offers free tutorials and instructions for adobe flash software. 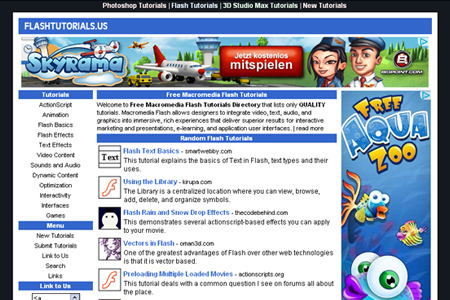 Kirupa.com is an online Flash resource with informative articles about Flash, ActionScript, Design, PHP, and more! 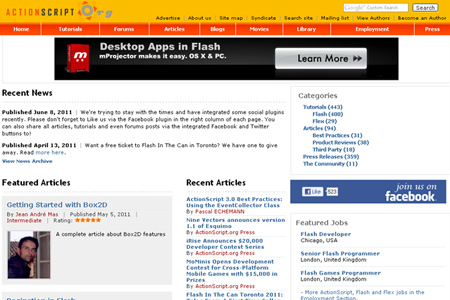 Flash and Math provides a collection of Adobe Flash CS3 and ActionScript 3.0 tutorials designed even for beginners. Pixel2life is the largest tutorial search engine on the internet with over 40000 indexed tutorials for Photoshop, Graphic, Programming and Webmasters. 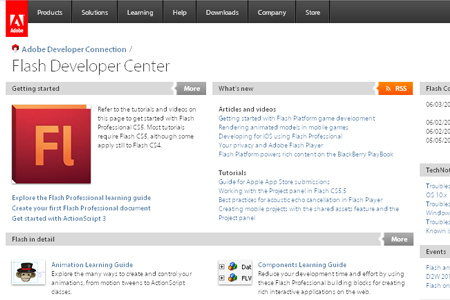 The Flash Developer Center is part of Adobe.com’s wide collection of professional tutorials featuring the basic, intermediate, and advanced tutorials about Adobe Flash. Tizag.com is a good website to learn about programming language as it provides good tutorials on CSS or PHP. 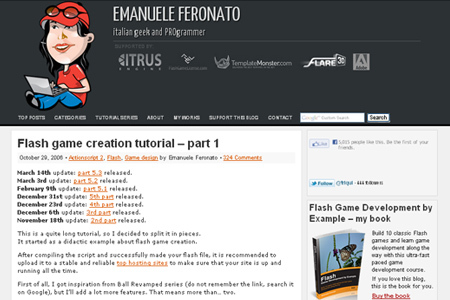 EmanueleFeronato.com is an Actionscript game programming blog which provides a lot of resources about flash, photoshop, php tutorials, scripts and source codes. 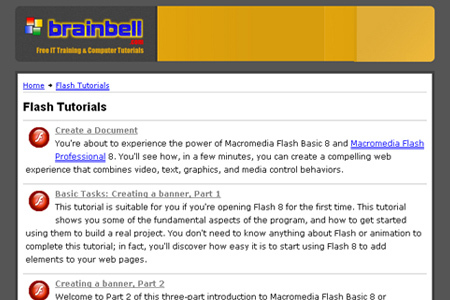 Tutorialized – Macromedia Flash Tutorials offers tutorials on how to create a mouse cursor, Flash preloaders and others aspects. 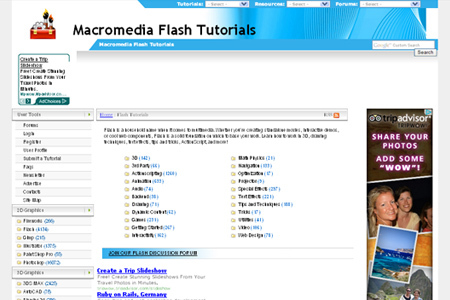 FlashTutorials.us is a directory that lists many free Macromedia Flash Tutorials. Baycon Group’s Flash Professional 8 Tutorial will teach you how to create graphics, works with layers, and adds motion, sound, and text to a Flash 8 movie. 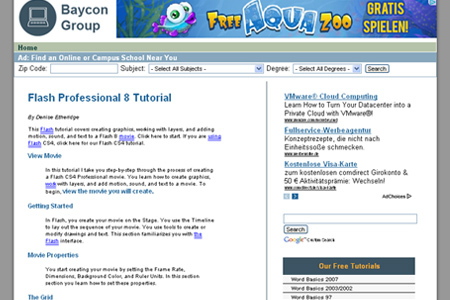 Steve’s Tutes is a website which contains tutorials for flash animation programming and video.